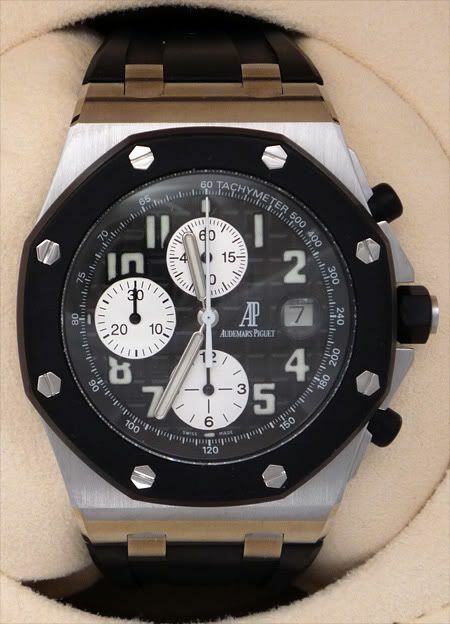 Thanks to Dutch on-line dealer Watch-Site, I was able to photograph a few nice Audemars Piguet watches this weekend. 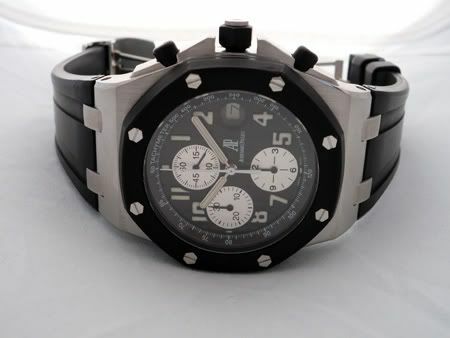 One of them is the Audemars Piguet Royal Oak Offshore Chronograph a.k.a The Rubber Clad a.k.a ref. 25940SK.OO.D002CA.01. So in short, the Rubber Clad. I don’t think the shape/design and superb finish of the Royal Oak needs any further attention, as I have written in length about it recently (in this article on Gerald Genta’s designs and use the search field for more articles on the subject). The dial is amazing in my opinion, the only thing I would change is the internalized cyclops. Whereas Rolex puts (read: glues) the cyclops on top of the sapphire crystal, Audemars Piguet decided to stuff it underneath the sapphire crystal. Look at the polished edges on the side of the lugs, isn’t that just wonderful? The combination of the satin finish of the watch case and a few polished facets is just genius in my opinion. 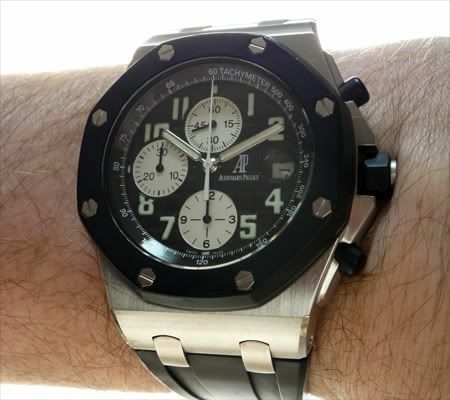 This is really where the design of the AP Royal Oak family stands out to the brands with similar designs. Despite its size, this watch actually wears very comfortable. 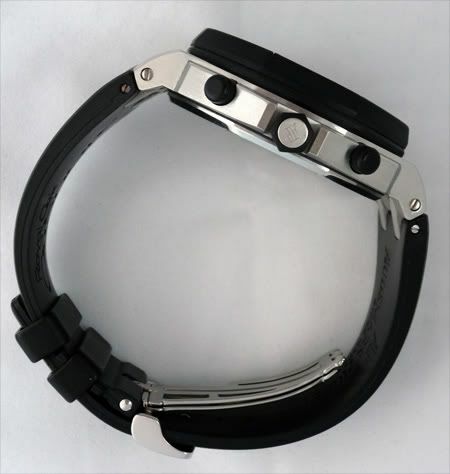 The rubber strap bends without any resistance to the shape of your wrist and the folding clasp is quite ‘flat’, so it doesn’t bother you.?Ç¬? The movement inside is an AP caliber 2226/2840. 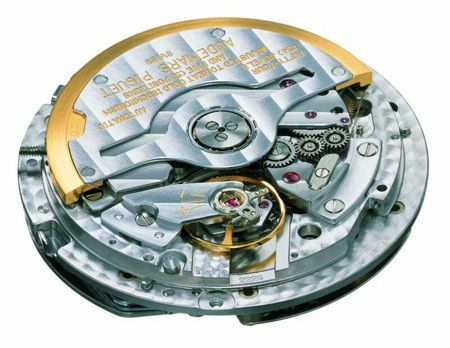 This movement consists of 370 parts, has a power reserve of 42 hours and ticks at 28800 beats per hour. All parts are decorated by hand; stippled mainplate; bridges rhodium-plated, and adorned with ?¢?Ç¨?ìC?É¬¥tes de Gen?É¬®ve?¢?Ç¨¬ù. One of the other good things about Audemars Piguet is, that the market prices are a bit lower than the list prices (in contradiction to the Rolex Daytona). To be honest, I don’t know much about the availability of these rubber clads or other Offshore models. A number of my sponsors/advertisers have different Offshore models in stock, but since there aren’t many official AP dealers in my area, I don’t know the official word on this. The Rubber Clad has a list price of approx. 16.000 Euro. However, Watch-Site has this particular model up for sale for 8.500 Euro. I also took some pictures of the AP Royal Oak 15300ST, some times misinterpreted as the Jumbo (15202ST) or as its successor. I will do some coverage on this model soon, as I am starting to think that this 15300ST model is more suitable than the praised ‘Jumbo’ ref.15202ST.